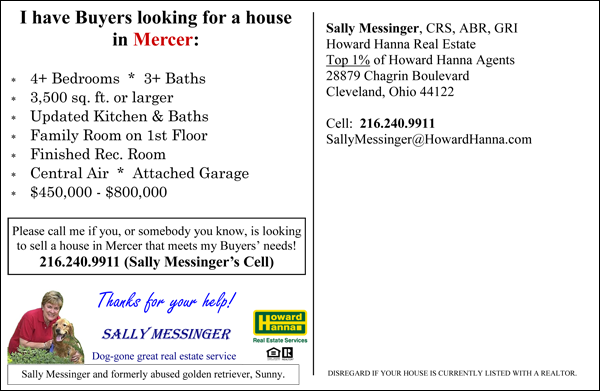 David Hunter here, retired real estate agent with top producing agent in Cleveland, turned direct-response marketer (Yes, I am the Duke of Marketing). I’m going to lay out 7 Real Estate Marketing Strategies that you can start implementing today to get more leads and grow your real estate business! I really should sell this information and turn it into an e-book. But, I’m feeling generous and want to give you the information for FREE. I enjoy seeing businesses (especially real estate businesses) succeed! Ok, this one you’ve heard before. But, the people you hear it from are doing it WRONG. They send Just Listed/Just Sold postcards for years and years until potential homeowners start to know their names (this is called Branding), and when it comes time to sell call them to list their house. Sure, it works, but it takes TIME and lots of MONEY. How can you farm a neighborhood that will actually get you leads faster? Make an offer to your prospects! No, not a free CMA… That’s what most agents offer. My favorite offer is a FREE Home Seller’s Guide (This is a Lead Generation Magnet. It gets potential homeowners to raise their hands if they’re even thinking about selling someday). It was included on every postcard sent out, along with an offer to get the Home Seller’s Guide and a picture of the cover. By making an offer with a Home Seller’s Guide, you’re fishing for potential homeowners who are starting to think about selling their home. Why wait until they’re “ready” where they call up some other agent. No! Get them to raise their hands NOW and keep following up with them. Yes, it could take months and months for them to finally list with you, but you’ve already got your foot in their door when it comes time to list. My preferred method of getting this postcard out is using the USPS’s Every Door Direct Mail. You mail oversized postcards (which get noticed) for a lot less cost in postage. Well, it’s time to get that out of your head, and it’s time to start getting real estate leads! Here we go… I call this my “Looking for a House” postcard. To do this correctly you need to have a buyer who found a specific area/neighborhood they want to live in (Never-EVER say you have a buyer when you really don’t. People aren’t as dumb as they look. They will find out and they will tell the whole world about your sleazy scam). Once your buyer picks out a neighborhood, or two, you’ll want to design a postcard using the USPS’s EDDM. 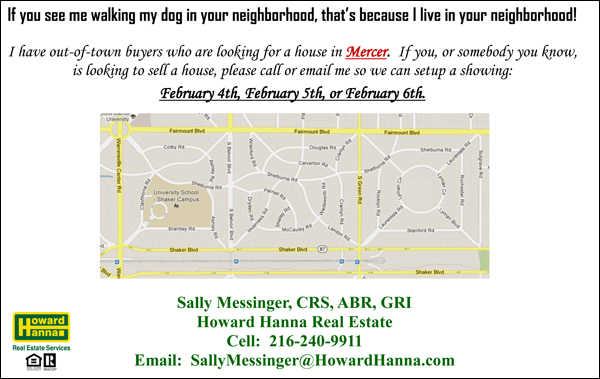 Now, get a map of the area your buyer wants to live in and put it on the back of the postcard. You want to create a catchy headline and let potential home sellers know you have a buyer in their area (be specific on the are) and when they would like to look at houses. Do you see what I did there? These were Out-of-Town Buyers, so I mentioned that along with the dates they’ll be in town to look at houses. I also mentioned the specific neighborhood. Notice the headline mentions the specific neighborhood (just like the front) and gives the criteria of the house the buyer is looking for. You will get calls from homeowners who are planning on selling, but the houses won’t be the right match. Heck, the homeowners will even say… “Well, it says your buyers are looking a finished basement, but our basement is already to be finished.” They will talk up their houses. TIP: After talking with the homeowner about their house, if you don’t think it’ll be a good fit for your buyers still show it to them anyways! Also, do not, I repeat… DO NOT include sales messages on your postcard. Don’t include a home seller’s guide. Don’t include your testimonials. Just concentrate on your buyer’s needs. I’ve tested this and my response rates went down when I added testimonials and sales literature. BONUS: Be sure to share the postcard with your buyer. They’ll be happy to see you’re proactive in helping them find a house, even if it’s not listed on the MLS. It’ll set you apart from other agents. This is my favorite, but also the most costly. The way to target Expireds & FSBOs is to stand out from the crowd. These nice folks get calls and mailings all the time from agents. Most of the time it’s “one-and-done” type marketing. They get one sales letter from an agent and never hear from them again. <—Don’t do this, ok?! 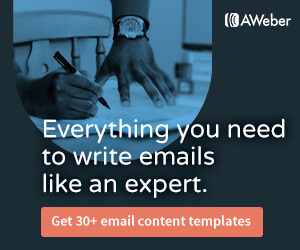 Create a 3-Step Marketing Campaign that includes a postcard, home seller’s guide, and mini trash can (Yes, I said mini trash can. Hear me out…). This postcard goes out giving the home seller notice that they’ll soon be receiving a copy of your free Home Seller’s Guide. Along with a testimonial and sales message. Step Two: Home Seller’s Guide. You wait a few days after you send out the postcard to send the Home Seller’s Guide. A few reasons you wait is because if you get the postcard back because it’s marked as “undeliverable” you don’t want to waste a lot more money in postage and supplies to mail your marketing materials to someone who will never receive it. Step Three: Mini Trash Can. Yep! You’re actually going to mail a mini trash can. 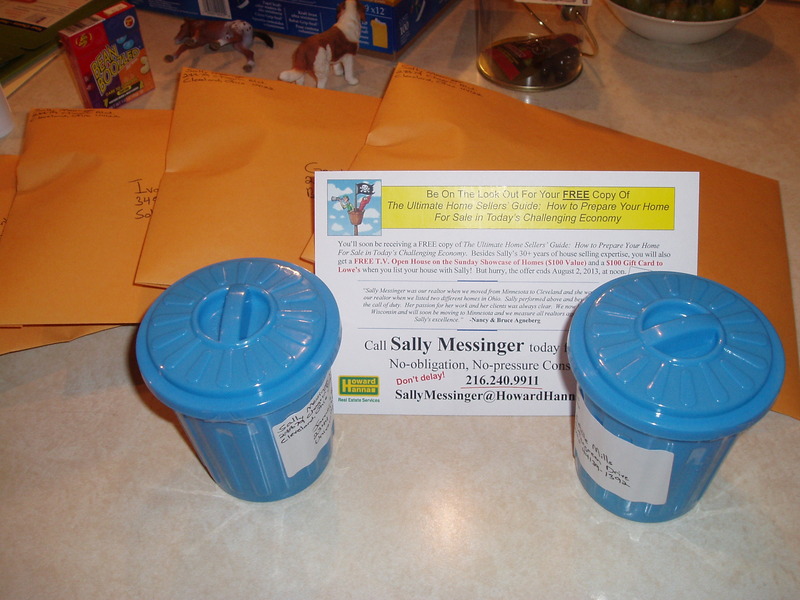 This is a last chance noticed with a headline, “Don’t Throw Away This Incredible Opportunity To Get Your House SOLD.” It’s a sales letter reviewing the Home Seller’s Guide and why they should call you along with testimonials through the sales letter. Be sure to check out the links at the end of this page on how you can get the “Rush Priority Express” envelopes, mini trash cans, and a lot of other fun marketing pieces! Yes, Cold Calling does work and it’s not dead. But if you’re like me you hate doing it and would rather get a root canal. If you’re not ready to do the 3-Step Marketing Campaign above, then cold calling is your only other option to target Expireds and FSBOs. Remember, when you call them you want to talk about the home seller’s needs, not your needs. BAM! That’s your in. You’re not asking a yes or no question. You’re asking them how come they think their house didn’t sell. They’ll complain about their agent, buyers, or whatever and say their house is the nicest around. WHO: Who else is involved in making the decision to move? WHAT: What are you plans when you move? WERE: Where are you planning on moving to? WHY: Why are you moving? HOW: How do you plan on selling? Build off these and ask questions. Be sure to create your own too. These will get your started. Another way to cold call is to follow up with your expired/FSBOs campaigns. This way, it’s not as “cold” because they already know a little about you since you mailed them three times. Here’s where you can start asking the above questions. A newsletter is a great way to keep in touch with past clients. You can also use them as a marketing tool to farm an area. Newsletters can be email or mail (I prefer mail) and what you’ll want to talk about is something personal going on in your life (Any recent vacations? New pet? New real estate designation? etc. ), a tip or two about getting your house ready for the market, and a current market report. When sending to your past customers your current market report you can be more broad in the information. Like city, state, country happenings. When you’re mailing the newsletter to your farm area, be sure to include recent listings and sales in that specific neighborhood and city. 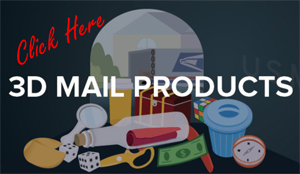 You want to make your newsletter fun and have your “receivers” interact. You don’t want to be “all about real estate.” That’s why you’ll add some personal things going on in your life so people know you’re human and not some sort of robot. The most important reason you want to get newsletter out to your past clients is because you want them to think of YOU when they decide to sell again. Before I was marketing to past clients for an agent I was working with, she would get calls from her past clients asking if she was still in the business. Yikes! I can only imagine how many past clients thought the same think, but instead of calling just asked a friend who they used and away they went. Here’s where you can use the free Home Seller’s Guide offer again. You can go to Google and Facebook and create targeted ads (this is where you can pick out what kind of prospects you’re looking for, how much they make, age, where they live, etc.). So, with Google, when someone is searching for “real estate in your local area” you want your ad to show up on that first page. This is where you’ll have a headline of “FREE Home Seller’s Guide” to draw attention and a place for the prospects to click which leads them to a page on your site on how they can get the home seller’s guide. Be sure to make your prospects opt-in so you have their name, address, and email (address is good if they want a physical copy and for following up). You can also include a digital copy. As with Google, same goes with Facebook. You want to create ads offering your free home seller’s guide as a lead generation magnet. It really is that simple. Just follow the directions on Google and Facebook and you’ll have an ad up and running in no time. Ah, you probably didn’t think about Angie’s List as being a marketing strategy, did you?! A lot of people don’t realize it, but Angie’s List allows businesses to join for free. It doesn’t cost you a dime unless you want to do some advertising and be the number one position on Angie’s List. Now, don’t let that scare you away from it being free. If you have great reviews you WILL get business. Once you have a house that transfers, you email and call your clients to ask them how everything is going and if there’s anything you can do for them. Once they tell you how happy they are ask them if they can review you on Angie’s List. After they say “yes” be sure to send them the link by email or mail. Now that you’re collecting reviews, prospects will take notice and you’ll start receiving calls and emails. That’s where you put your smiley face on and go to work! Also, I’ve noticed that buyers and sellers who came from Angie’s List were “higher quality.” I don’t mean in price range, but just really good people to work with. They understood what business we were in and took our advice. They also weren’t the “let’s test the waters” type of buyers and sellers who aren’t really serious. BONUS: Once your clients leave a great review, ask them if you could use it, along with their full names, on all of your marketing material. Not everyone will say yes, but most will be happy to let you use it. See link at the end of the page to get to Angie’s List Business Center. You’ve Now Discovered 7 Real Estate Marketing Strategies You Can Implement Today To Get More Leads And Grow Your Real Estate Business! Now be sure you TAKE ACTION! I’m pleased to announce you can now get a copy of Dan Kennedy’s No B.S. Direct Marketing book featuring Top Real Estate Coach Craig Proctor’s 8 Breakthrough Real Estate Marketing Strategies that can transform your Real Estate business into a money-making machine. All you have to do is pay for the shipping which is $4.95 and it’ll be shipped right to your door! Also, if you’re not 100% satisfied with the No B.S. Direct Marketing book, then let me know within 365 days of receiving your copy and I’ll refund your shipping. And keep the book as my gift to you. In chapter 13 of Dan Kennedy’s book No B.S. Direct Marketing, Craig Proctor reveals his 8 Breakthrough Real Estate Marketing Strategies that propelled him to become the TOP Re/Max agent in the world at the rip old age of 29. Just cover shipping ($4.95) and the No B.S. Direct Marketing book, along with its companion audio CD (The #1 Secret to Small Business Success), will be delivered right to your doorstep. BONUS: Once you claim the No B.S. 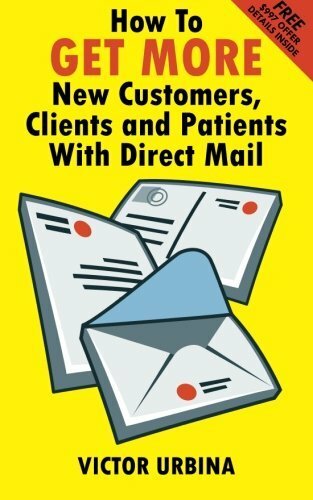 Direct Marketing book, you’ll be directed to another page for a FREE 60 Day GKIC Gold Membership and 2 FREE Issues of the No B.S. Marketing Letter and No B.S. Gold Letter. I highly recommend this option and getting your FREE 60 Day GKIC Gold Membership. CLICK HERE to claim your copy and bonus offers today! Questions? 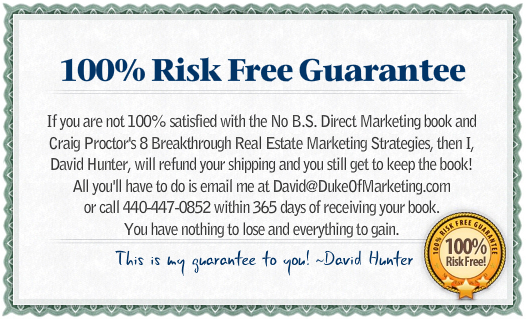 Feel free to email me at David@DukeOfMarketing.com or call me at 440-447-0852. P.S. When you claim your copy of the No B.S. 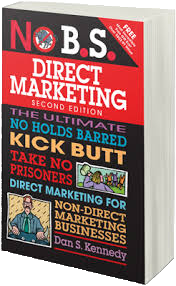 Direct Marketing book today, where you’ll discover top real estate coach Craig Proctor’s 8 Breakthrough Real Estate Marketing Strategies that can transform your real estate business to a money-making machine, Dan Kennedy’s 10 No B.S. 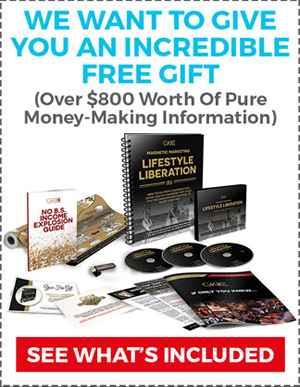 Direct Marketing Rules, and the #1 Secret to Small Business Success audio CD, you’ll also be offered a bonus of a FREE 60 Day GKIC Gold Membership and 2 FREE Issues of the No B.S. Marketing Letter and No B.S. Gold Letter. I highly recommend getting your FREE 60 Day GKIC Gold Membership. CLICK HERE to claim your copy and bonus offers today!